Bollywood's King Khan Shah Rukh Khan was recently seen shooting at Mumbai Marine Drive area during one of the cloudy nights. The video was shared by one of Shah Rukh Khan's Twitter fan pages. In a small clip, Shah Rukh Khan is seen running on the pavement at Marine Drive. The heartthrob of many and industry superstar Shah Rukh Khan gave a moment to remember by his fans and those who admire him when he was spotted shooting at Mumbai marine drive during the night. However, it was not clear whether Shah Rukh Khan was shooting for a film, commercial campaign or for any other project, but for many Mumbaikers and Shah Rukh Khan fans, it was a dream come true to watch their favorite Bollywood actor shooting near them and what could have been better than Marine drive, one of the most famous tourist places in Mumbai. The video of Shah Rukh Khan shooting at Mumbai Marine Drive was shared by one of his Twitter fan pages. In a small video, Shah Rukh Khan can be seen running on the pavement at Marine drive in one of the cloudy nights in the city of dreams. Shah Rukh was wearing a white shirt and with his hair waving while he was running on the pavement. Some insiders report say that Shah Rukh Khan might have been shooting for his upcoming film Zero, also starring Anushka Sharma and Katrina Kaif. 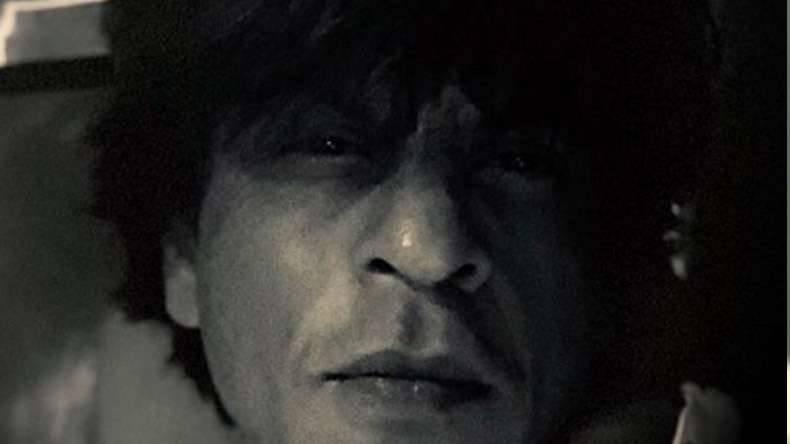 The King of Romance has recently completed his 45-day shoot in Alabama along with Anushka Sharma for his upcoming Zero. Zero, which is an Anand L Rai directional, Shah Rukh Khan will be playing a dwarf in his upcoming film Zero. SRK’s upcoming is based on problems faced by dwarfs in the society and how do they cope up with the challenges. Giving a reaction on Shah Rukh Khan’s upcoming, dwarf badminton players Disha Pandya and Mark Dharmai are expecting that the film might change peoples’ perception and how society takes them.